This software was developed by our own George Kosch and although very easy to use incorporates a number of customization features not offered by other products on the market. One thing George insists upon when developing software is simplicity. In keeping with that, this software is easy for anyone to use, takes minutes to create, landing pages are created with ONE CLICK. You can also create splash pages and exit splash using some of the advanced features. The Landing Page Builder software allows you to create unlimited BEAUTIFUL landing pages (for ANY business) - within minutes! Really. In MINUTES! No exaggeration. Super-easy for EVERYONE to use. No technical or graphics expertise required. You get to pick the template from a Gallery, add in your own headlines etc. Press SAVE. Create landing pages with video or without, simple or fancy, text or graphics. All EASY! Many of our Members are involved in a number of different programs or affiliates and the one thing you need no matter what program you are in is LEADS. Landing pages are critical for generating leads and building your email marketing list. For any of you who have tried creating your own landing pages, you know how time-consuming it is with a steep learning curve, some requiring advanced technical or graphics expertise. Worldprofit's Landing Page Builder will save you time, money and headache while assisting you to generate leads for any and all your online affiliate programs. George Kosch has recorded a help video so you see for yourself how easy it is to use Worldprofit's Landing Page Builder. Here's how to access the Landing Page Builder and get started. 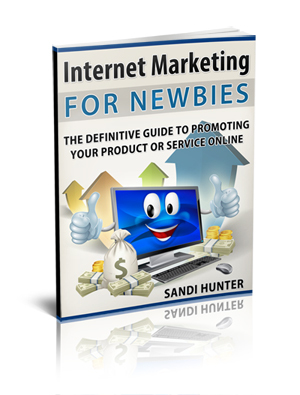 On the LEFT MENU, select MONEY MAKERS, then click on LANDING PAGE BUILDER. 2- Watch the Help Video BEFORE you get started, please. Seriously PLEASE watch the video s you know what you are doing. --Software Update - December 2014. The Tracker identifies referring URL, IP Address and the time your page was viewed. Simply create your landing pages, promote them, and the Ad Tracking is automatic. Know right away where you are getting clicks from! Check your Ad Tracker data to know instantly which are your best producing advertising sources. No more guessing what is working and what's not, just check your Ad Tracker for the real data. In your Member area, on LEFT MENU click on WEBSITE MANAGEMENT then on LANDING PAGE BUILDER, then look on the Yellow MINI-MENU select "LP BUILDER TRACKER." Once in that section, watch the short screencast video by George Kosch. This value-added service is included in both Silver and Platinum VIP Memberships. Note: The Tracking will be added to all NEW Landing Pages you create since the addition of this new tool. To have Ad Tracking to any landing pages you built PRIOR to this new tool, submit a Support ticket and request that AD Tracking is ADDED for your older landing pages. 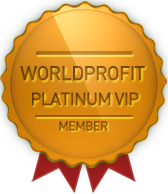 George Kosch is the co-founder of Worldprofit and has been in business online for over 24 years.